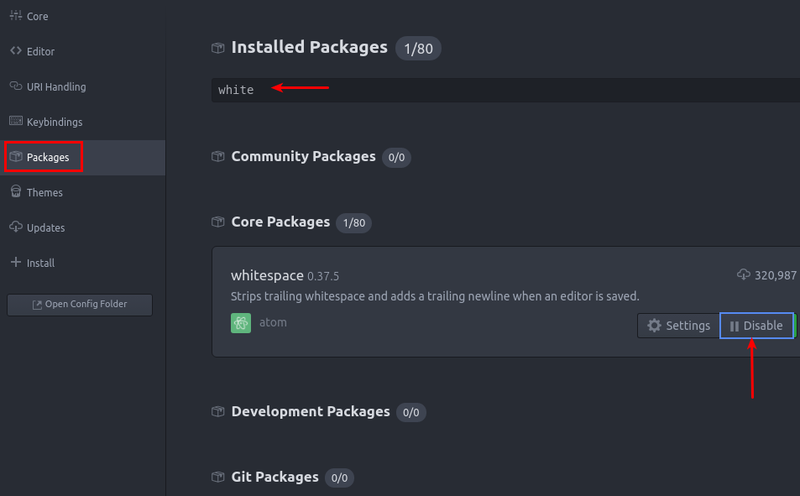 I really don't like the fact that the Atom editor will remove whitespace from the end of your lines. This will often cause lots of differences that appear when you come to commit your code. That, and I actually prefer using spaces to keep the indentation there and ready as shown in the meld diff below. Luckily, stopping this functionality is really simple. Go to Edit > Preferences.